A couple of weekends ago I had the glorious pleasure of returning to CJ’s Farm. I had been there once before, last fall to pick the most beautiful heirloom pumpkins. This time it was boysenberries. 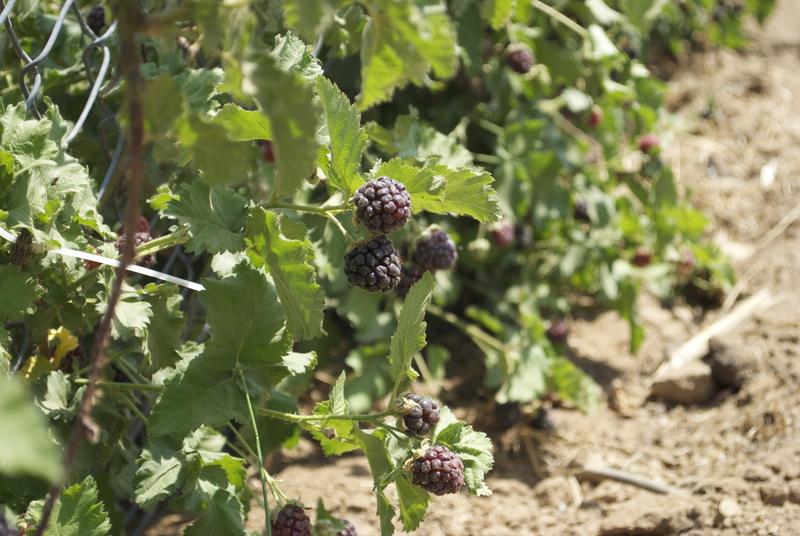 This triple cross between a European raspberry, blackberry and loagnberry is not so easy to find here in Los Angeles. They are around the Hollywood and Santa Monica Farmer’s Markets for a very brief period if you’re lucky to find them at all. And sometimes when you have that kind of luck, they are the worst type of sour and just awful. 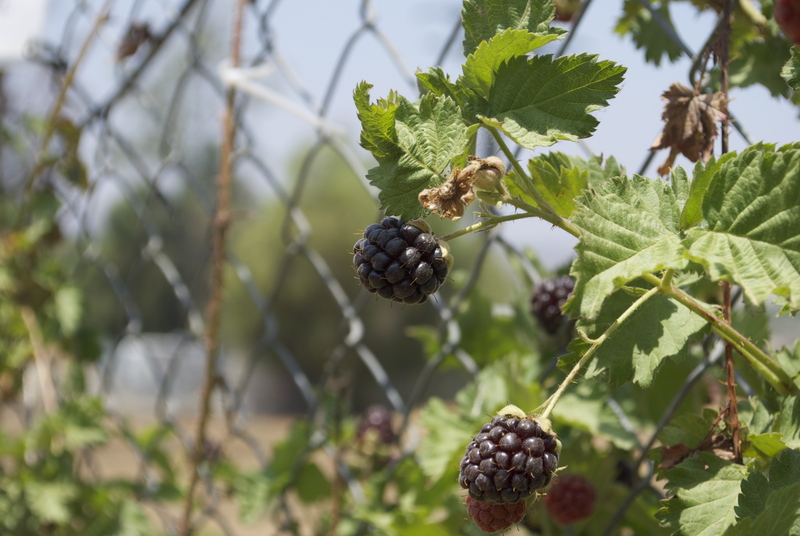 Imagine my excitement when I learned that CJ’s was not only growing boysenberries, but was opening their wonderful farm to the public for u-pick. 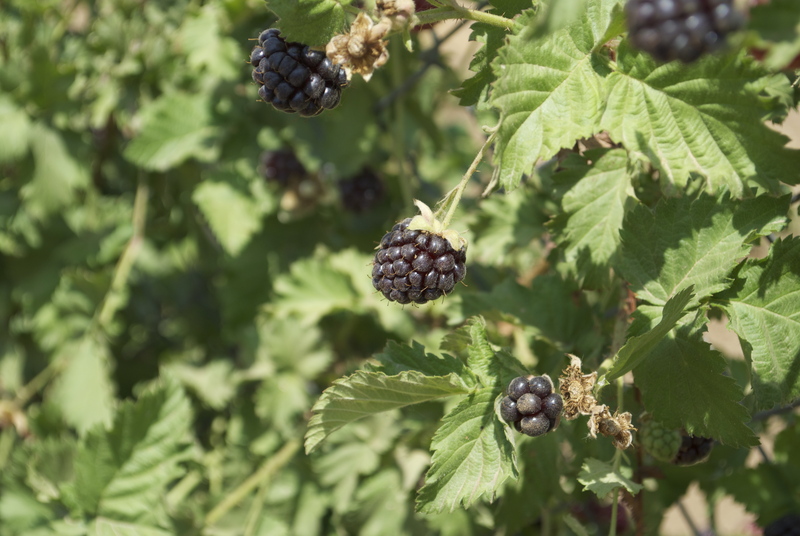 The ripe boysenberries were deliciously tart yet still sweet. They were the best I’ve ever had. I picked the biggest option available because I already knew I wanted to bake them into a pie. And what a wonderful pie they made. I decided to add a little bit of dried violet flowers to elevate the flowers as well as a splash of violet liqueur. If you’re looking for dried violets, I got mine from The Spice Station. Preheat oven to 425°F. In a mixing bowl, combine all ingredients. Roll out your bottom crust. Pour the filling into the crust. Place in the fridge while rolling out your top crust. 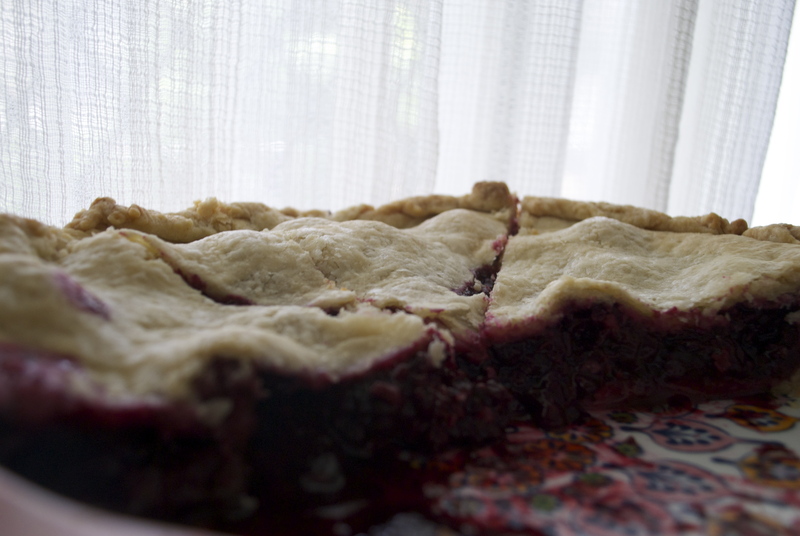 Cover the pie with top crust, or make lattice. Remember to cut slits for ventilation if using the whole top crust. Bake at 425°F for 20 min. Lower the heat to 350°F and bake an additional 35-45 min. This one didn’t last long. Couldn’t get a shot of the whole thing before it was half eaten. ← Mango Lilikoi Sunshine Pie. PIE. 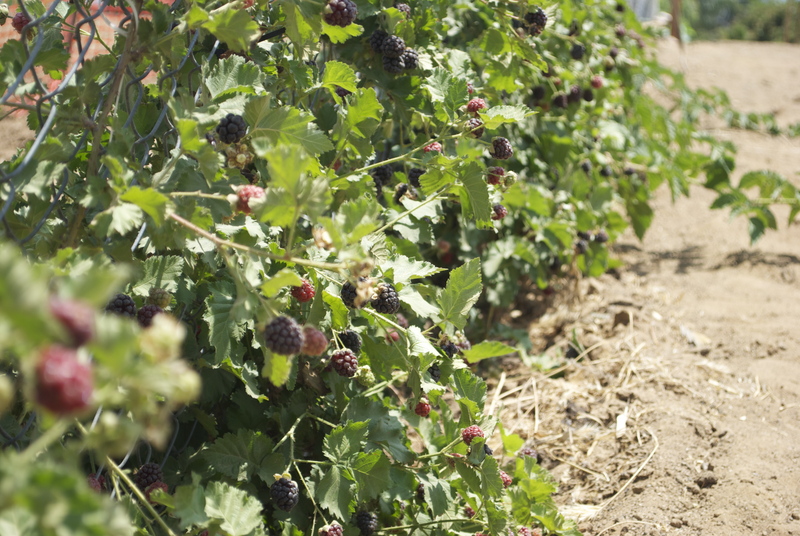 I’m super jealous of your berry-picking–I don’t think I’ve seen boysenberries anywhere but the farmer’s market here! And certainly not for any length of time. 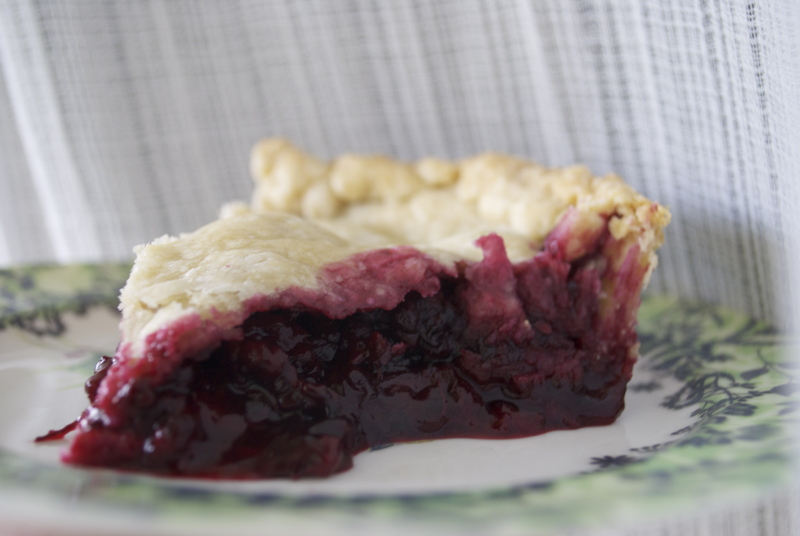 Also, PIE. Did I mention pie? Thank you! I love adding flowers to things for that little extra something special.